ConceptDraw DIAGRAM is complex of the great-looking examples and templates of a nature illustration diagrams. Nature solution expands our software possibilities to create beautiful illustrations and clip arts with the new library which contains 17 vector objects. Users can export resulting diagram to PDF, PowerPoint, and other popular graphic formats. 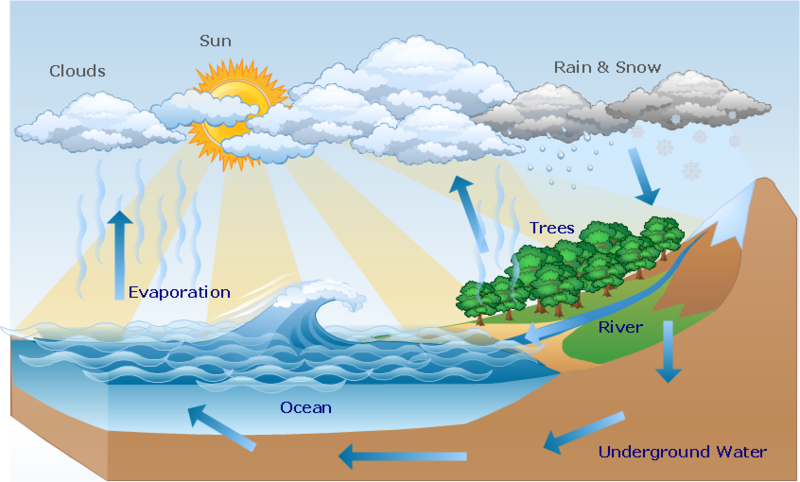 This diagram shows water movement in hydrosphere, atmosphere and below the Earth surface. ConceptDraw DIAGRAM v12 diagramming and vector drawing software offers the Entity-Relationship Diagram (ERD) Solution from the Software Development Area for ConceptDraw Solution Park. How many examples contains the Entity-Relationship Diagram (ERD) Solution! All Entity Relationship Diagram examples were designed and saved for ConceptDraw DIAGRAM v12 users. Now they are available from ConceptDraw STORE.